Japan and the United States will be modernizing virtually all of their national electrical power distribution systems in the near future. In April 2016, Japan deregulated its electricity market—both in generation and retail. In 2020, Japan’s transmission and distribution markets will also open. Grid modernization is required in both countries because of the age of current systems, as well as the need to improve capacities to handle intermittent energy sources and accommodate residential and business customers with advanced electrical control systems (“smart metering”) that tailor electrical usage to demand and costs. Modernization also is required to increase the systems’ resilience to extreme natural events. The result of all these changes will be power grids that distribute and control electrical power on a more responsive basis, shifting large loads more rapidly than in the past. Grid control will be handled by networked computer systems with increasingly complex algorithms; the control systems’ number of exposure points, especially in terms of cybersecurity, will increase dramatically. 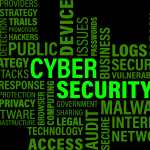 Strong cybersecurity measures will therefore be required to ensure the safety of the system, along with sophisticated backup measures to deal with both cyber and physical attacks, and restoration of service in the event of even partially successful attacks. Sasakawa USA’s program on Smart Grids and Cybersecurity addresses issues including cybersecurity threats, modernizing electric grids to integrate conventional and renewable sources of electricity, expanding use of energy storage and distributed generation, and responding seamlessly to disruptions. Sasakawa USA, in partnership with the James E. Auer U.S.-Japan Center, brought together private and public sector experts from both the United States and Japan for an off-the record discussion of common challenges in cybersecurity and energy. The group addressed issues including cybersecurity threats, modernizing electric grids to integrate conventional and renewable sources of electricity, expanding use of energy storage and distributed generation, and responding seamlessly to disruptions. Sasakawa USA plans to release a report based on the conference in 2017.